Apple announced this morning that it sold its one millionth iPhone yesterday, two and a half months after its introduction on June 29. Apple slashed pricing on the iPhone last week, dropping its cost from $599 to $399 in order to stimulate demand. The price cuts are expected to at least double demand for the innovative device. 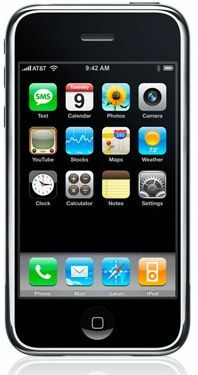 The iPhone combines three devices into one‚Äîa mobile phone, a widescreen iPod, and¬†a mobile Internet device ever. The iPhone’s multi-touch interface has garnered nearly universally positive reviews.